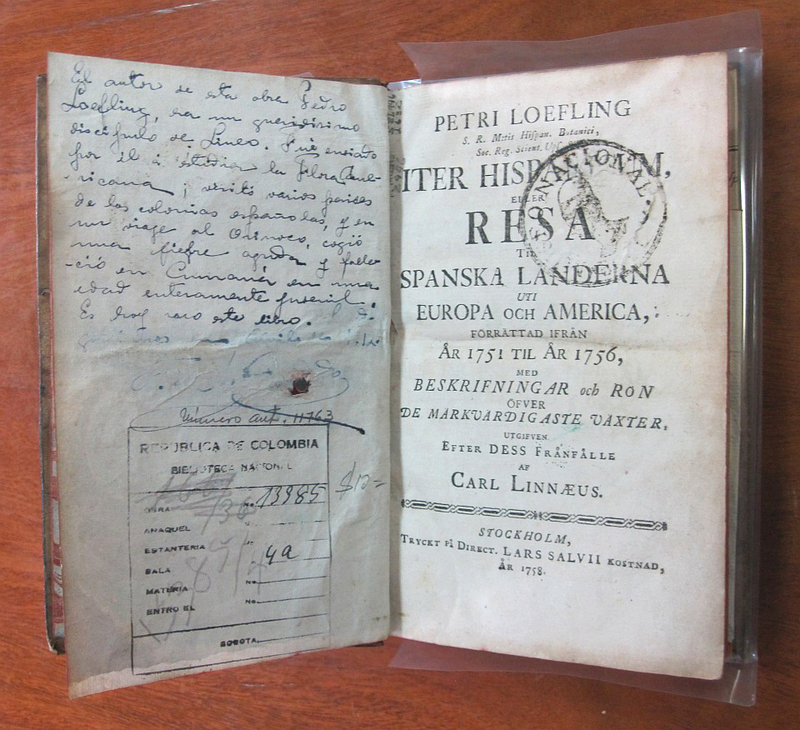 A copy of Linnaeus’s student Pehr Löfling’s posthumously published work Iter Hispanicum that once belonged to the prominent Spanish-Colombian botanist José Celestino Mutis (1732-1808) (Biblioteca Nacional de Colombia, F. Mutis 2996). One of the most familiar chapters in the history of early modern science is the birth, expansion and global deployment of Linnaean natural history from the 1730s onwards. It is a compelling story that begins with a gifted and determined young man of obscure background who became obsessed with botany and, eventually, the classification of all living things. At a time of epistemological crisis caused by the rapidly growing mass of information in Europe about plants and animals across the world, it was Carl Linnaeus (1707–1778) who succeeded in establishing a universal system of classification. He also prescribed procedures and methods for observing, describing, collecting, transporting and displaying specimens, and for scientific travel, the teaching of future naturalists and ways of organising botanical gardens. In this narrative Linnaeus was the princeps botanicorum, the ‘Prince of Botanists’, whose ideas – initially resisted – soon conquered Europe and the world. To this day the publication of his global flora Species Plantarum in 1753, in which Linnaeus launched his new binary names for plants (and later animals), is considered to be the beginning of the history of modern botanical nomenclature. While there are some unique elements in this story, it is also very familiar in more ways than one. It conforms to a narrative and explanatory model that, for a long time, shaped much scholarship on the history of science – be it early modern, modern or contemporary – and that is sometimes labelled as the ‘diffusionist model’: one associated with the notion of ‘the great men of science’. It is a view of science, or of intellectual history more generally, marked by a belief in the importance of individual, inventive minds in the creation of new ideas that spread outwards to the four corners of the world. More specifically, in this (Western) historiographical tradition, Europe has tended to be the birthplace of ‘great ideas’ of ‘great men’, illuminating the world’s dark peripheries. 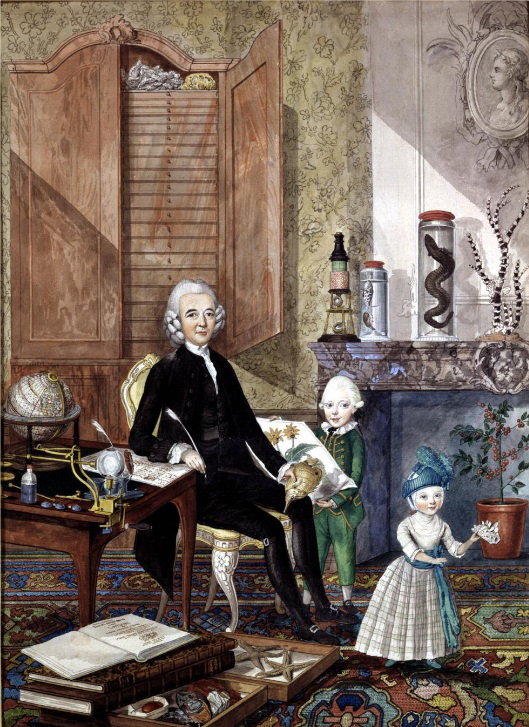 Dutch naturalist Laurens Theodorus Gronovius (1730–1777) and his two sons surrounded by natural history objects in a portrait by Isaac Lodewijk la Fargue van Nieuwland from 1775 (Lakenhal Museum, Leiden/Wikimedia Commons). 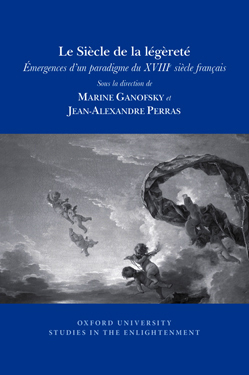 This view has been radically challenged over the last few decades by a revival in history of science research, where the perspective is instead one of emphasising the circulation of knowledge as a collaborative, multidirectional process in which people, objects, practices and ideas are constantly on the move, or, as James Secord has put it, ‘in transit’. The field of Linnaean natural history in the eighteenth and early nineteenth centuries is a prime example of this, since it provides an extraordinarily fertile ground for exploring how knowledge is constantly (re)produced and (re)negotiated through travel and interaction in local and national contexts that spanned, and often connected, the globe. Our edited book Linnaeus, natural history and the circulation of knowledge sets out to globalise our understanding of Linnaean science. ‘Globalising’ should be understood here in a broad sense as a process that encompasses several different dimensions. Firstly, Linnaean natural history was a collective and collaborative enterprise and not the work of one man; in other words we need to de-centre Linnaeus himself from his traditional role as ‘the great man of science’. Secondly, Linnaean science was not merely a set of ideas and abstract principles, since it largely consisted of and was shaped by materiality and practices. And thirdly, ideas as well as practices were continually renegotiated in spatially diverse contexts that were both local and global. This means that Linnaean science became the vehicle for a wide range of objectives – colonial and national as well as individual – and it was also a means of communication, a reason to make contact with others, a system for organising knowledge and much more. Therefore studying Carl Linnaeus himself as well as his works, his students, his readers and his legacy is ultimately a way of understanding the increasingly global circulation of knowledge that marked the end of the eighteenth and the beginning of the nineteenth century. For example, this circulation can be traced by investigating the collaborative dimension of ‘doing’ natural history. Notes on loose paper slips, and questions raised and answered in footnotes of new editions of books, tell stories about everyday taxonomic toil and delayed dialogues between naturalists working in different countries. Local and economic histories help cast further light on receptions of, resistance to, and survival of Linnaean taxonomy in north-west Europe. Marked-up prices for collections with a Linnaean provenance rendered them worth conserving – consequently they survived to become reference material in the ongoing exploration of nature. Intellectual histories and biographies offer other means of understanding change and movement. In this book we use Carl Linnaeus as a label and a starting-point from which we have traced the journeys of ideas, objects and individuals across the globe. James Secord, ‘Knowledge in transit’, Isis, 95:4 (2004), p.654-72. This entry was posted in Science and tagged anthropology, biology, Carl Linnaeus, diffusionism, eighteenth-century, Linnaean taxonomy. Bookmark the permalink.